Cheese Bread! Need I say more. 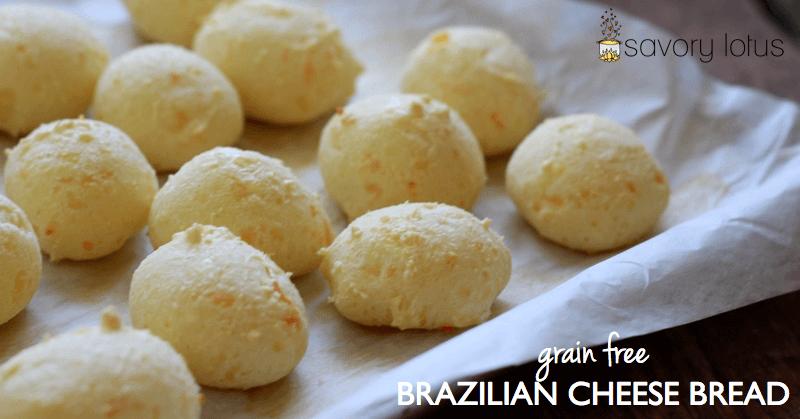 You are going to LOVE this Grain Free Brazilian Cheese Bread recipe! Last week, I told you guys about my Sunday Farmer’s Market ritual. 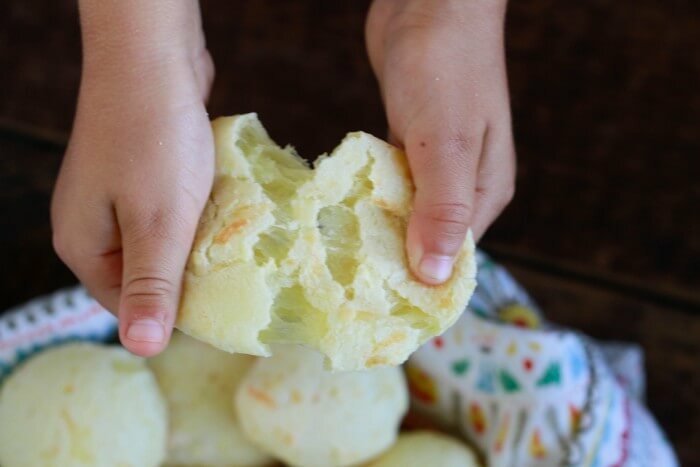 I mentioned the Brazilian Cheese Bread that my Little One loves. 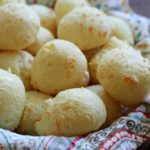 It got me thinking about those light, fluffy, chewy balls of goodness and decided to share the recipe with all of you bread lovers out there. 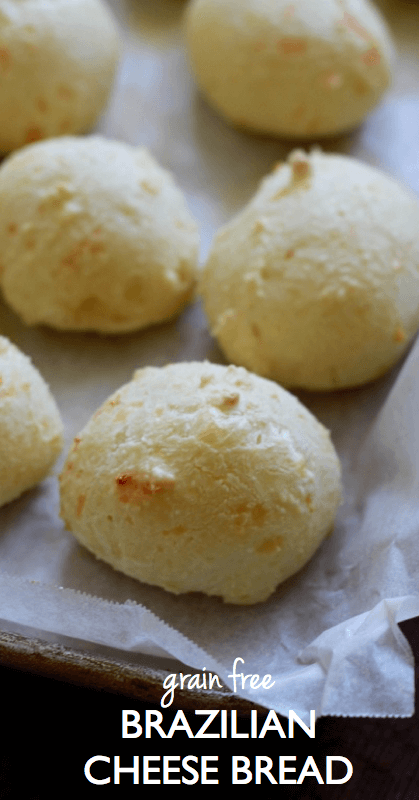 Brazilian Cheese Bread (also called Pao de Queijo) is a small, baked, cheese-flavored roll popular in Brazil. Being made from tapioca flour, they are naturally grain and gluten free. They can be eaten for breakfast, lunch, or savory little snacks. They make excellent tiny little mini sandwiches. Oh, and they are especially delicious steaming hot out of the oven. And the best thing is that they are super easy to whip up. You don’t actually have to know how to bake bread to enjoy these savory little cheese puffs. But your family might be seriously impressed if you do. Feeling creative? The recipe I am sharing is for a basic cheese bread using Parmesan cheese. Feel free to experiment with other cheeses. I love this with Queso Fresco. I have also added fun things like fresh herbs, bacon, olives, and goat cheese. A note about the milk: You can use any milk of choice for this recipe. Traditionally, it is made with whole cow milk. I have made this recipe with raw cow milk and homemade coconut milk (if using canned, I recommend doing 1/2 cup canned full fat and 1/4 cup water). Feel free to experiment. So go ahead. Give it a try. Bake them. Eat them. Love them. Preheat oven to 425’F and line a baking sheet with parchment paper. Place tapioca flour into a large glass bowl. Set aside. In a sauce pan, bring milk, butter/ghee , and salt to a boil and turn off heat. Pour milk mixture over tapioca flour and mix until well incorporated. Allow dough to rest for 10 minutes to cool. Mix eggs and cheese into dough and mix until uniform. 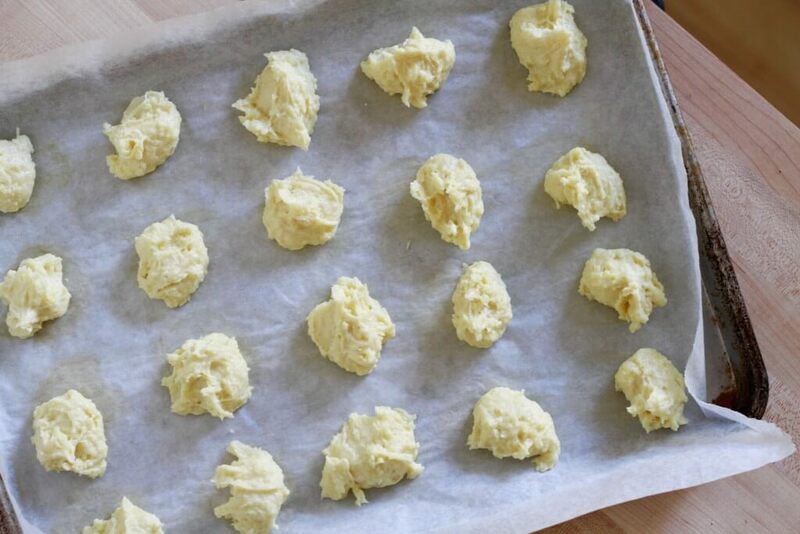 Using a large spoon or measuring spoon drop 1 1/2 to 2 inch balls of mixture onto prepared baking sheet, leaving 2 inches in between. Transfer baking sheet to oven AND decrease oven temperature to 375’F. Bake until puffy and golden on top, about 22 to 25 minutes. Remove from oven and serve. The dough for this recipe should be sticky and tacky. If your dough appears to be a bit runny, simply add a titch of tapioca flour to firm it up a bit. I have noticed that people measure flour differently and some milks are more watery than others. So be flexible here. These are great. This recipe also makes 4 individual pizza bases. Cook first then add toppings and pop back in the oven. Mini pizzas! I love this! Looks really good. Could you use almond or coconut flour as substitue for tapioca flour? 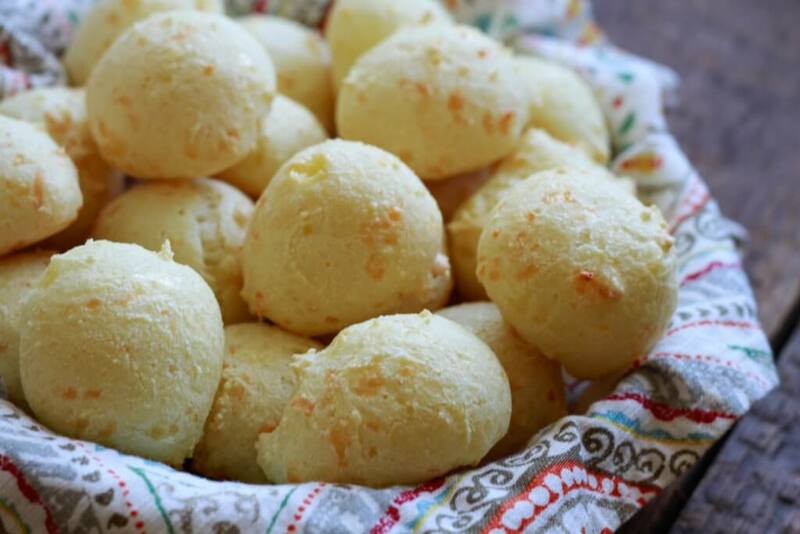 We have just finished eating your delicious Brazilian Cheese Bread. I expected a disaster as I produced a batter rather than a dough. Perhaps our English measures are smaller than yours? I It could also have been the fact that I used raw Roquefort instead of Parmesan! I baked the batters in muffin cases and used my muffin tin. They were crispy and very tasty.Many thanks Savory Lotus. We also enjoyed your Carrot and Ginger Muffins. I have made this two times and each time the dough is runny. Using same brand of tapioca flour and exact recipe. Any suggestions? I’m kind of disappointed with the results in my first try of this recipe. I may give it a second shot, but I may make minor changes. I live st quite a high altitude and that may be to blame for the poor result. They weren’t browning on the top so I kept baking them…and baking them…because that was the ‘requirement’ to take them out. Turns out that was a big mistake. It may have been an extra 10 minutes when I decided it was getting excessive. I took them out to discover they are crunchy, not puffy. They still taste edible, but they aren’t as good as the pictures. I plan to retry again, but this time I may add a bit more moisture and raise the temp a bit. I also will add baking powder and reduce the salt. That should compensate for the imbalance because they didn’t puff as much as intended. I’m really hoping to get this working! Side note – I used coconut milk as my ‘choice’ and being worried that it would overpower the recipe, I used 1/2 cup and made the remaining 1/4 water. Next time I’ll do it full because it doesn’t seem to have compromised the flavor at all. Hey Katja! Thanks for the quick reply! I was able to make these again just this evening. I used ghee and coconut milk again. I added 1 Tbsp of coconut milk because it’s rather dry here in the winter. I added 1 tsp baking powder and cut the salt in half. I preheated to 450 and baked at 395 for 23 minutes. They came out better than before and did turn lightly golden, but I’ll try again with more baking powder to make them puff more. I think I’ll also drop the preheat back to 425 because they still came out a bit too dry on the outside. As they cooled, they softened, so it’s still good the way I did them this time. Thanks for the tasty recipe! I think I already ate 5 or 6…lost count! Hi there! I tried to post this before, but since it’s not here now, I suppose it didn’t go through! I was able to make these Sunday night. They were gone in 24 hours, which means they must have been good, right? I did end up increasing the coconut milk, but only a Tbsp and again used ghee as my fat. I might add another Tbsp coconut milk next time to give it a little more rising power to start. I also raised the preheat temp to 450 and baked at 395 for 23 minutes. They still came out more crusty on the outside than I would prefer, but I think I’m getting closer. They did get a nice light golden look to them, which was an improvement. I used 1 tsp baking powder to try to get more ‘puff’ but I will add 1 Tbsp next time as it seems to struggle to raise the gluey tapioca. This is definitely a challenge because I’ve only really had to adjust quick bread in the past such as banana bread which only requires me to increase the flour by about 25% and increase the temp 20-25 degrees. Without that, it stays too moist and never cooks through. I’m at roughly 3600 feet above sea level in Calgary, AB. I will try again because these are worth the experimentation. Once I’ve got it nailed, I’ll start adding other goodies!! These were absolutely AMAZING! I’m just starting to eat clean and this satisfied the cheese bread craving. My dough was runny so I used a mini muffin tin as suggested. I followed the recipe precisely with the exception of fat free milk. Maybe this contributed to the runny dough. Thank you so much for this recept! it was amazing!!! Simple recept and very tasty! How long will these last in a Ziploc bag? Thinking about sending these in a care package. Thanks! Because these are pretty moist, I think they will not last very long in a zip lock bag. They tend to taste best fresh. Unless they arrive the very next day, I don’t know if these are the best care package item. Just loved these great rolls! Do you think you could use goat feta instead of parmesan? 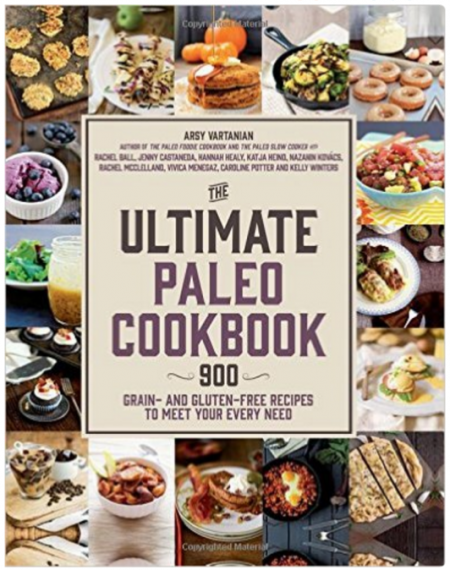 I didn’t read and skipped the boiling part – and my bread still came out delicious! Great recipe! Hi! I’m on a grain free diet for health reasons, but I also am allergic to eggs 🙁 is there a good tried and true egg substitute for this recipe? I am also allergic to chicken eggs but can tolerate duck, turkey, & other fowl eggs. Do you know if your allergy is to chicken eggs or all fowl eggs? These are absolutely delicious. Just followed your recipe. They are fluffy and crusty and so good. I used parmesan cheese. Oh, yay! I’m so happy you loved them! I made these with cashew cheese (http://paleogrubs.com/paleo-cheese-recipe), coconut milk, and ghee, and they came out great. Thank you for the recipe. Oh, yay! Thanks for letting me know. I will have to try it! I can’t believe these are grain free! They don’t look it at all! SO puffy and yummy! Right!!! The tapioca starch makes them SO good! I’ve only ever had these in restaurants, I can’t wait to try them out home! They really are super easy to make. It’s fun to take them out of the oven and see them all round and plump. OMG you had me sold at that second pull-apart picture. What an action shot. These look absolutely amazing, and I know the tapioca gives them that chewy inside. Yum! HA! I love that pic too. Really gives you an idea of what they are like. Oh wow, these look so good – and even though I don’t seem to do well with cheese I seem to be ok with Parmesan so I am definitely going to try these! My family prefers them with parmesan. Each cheese gives a different texture. This texture looks INSANE! I’m going to have to try these! They are super fun to make. Let me know if you try them. I used to eat these growing up all the time. So chewy and delicious! This recipe looks so simple and delicious ! I Love it !!! I haven’t made bread in years but this looks so authentic to the real thing, I’m inspired to try it especially with the gooey cheese. Your pictures look so appetising. I had these at a Brazilian restaurant one time, and they were so addictive! They looks so darn good! I love how simple these are and they look like a wonderful sub for those unhealthy rolls that always end up on the dining table at family events! I have made a similar recipe, but in a donut pan to make bagels. They are so good! These are a fun side dish!! I love a good grain-free bread! Grain free cheesy bread!!! Yes please! These look amazing, I know my family would love for these to be an addition to a meal. My mother-in-law grew up in Brazil and we have been wanting to make these together. Now I know how! These are one of the highlights of going to a Brazilian steakhouse and I can’t wait to try my hand at them. 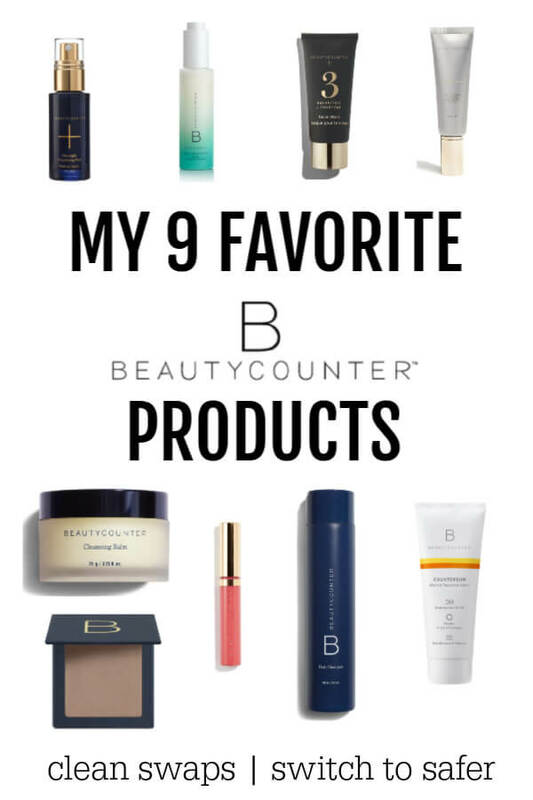 The are so easy and so good! Hope you ladies get to make them together. These are my most favorite rolls out there! It’s amazing how much they are like traditional wheat cheesy rolls. I know! My family goes crazy for them. And they are so easy to make! My dough was not runny but my rolls came out flat. What did i do wrong? It’s hard to know without being there. I do know that some cheeses have more moisture than others and will make a heavier dough. What type of cheese did you use? I am on a keto diet iDo Ou have the Nutricional value? Thank you so much for a delicious chewy grain-bread-like recipe! These are even good the next day, akin to a Little Ceasar’s crazybread. Mine did not turn golden but I pulled them out after the stated time, and they were perfect, so I wouldn’t get too caught up on the crust colour (: I will be making these again, and maybe experimenting with other flours blended with the tapioca. Yay! Glad you enjoyed them. My family loves loves theses! My dough was pretty runny, too, but they still baked up just fine. This is the BEST low carb/keto bread recipe I’ve ever made. Years ago I bought a Cuban cheese bread loaf from a bakery (that we loved so much!) but have never been able to find anything like it since. This bread comes very close and I’m so pleased to have found it. Thank you!